This year's Super Bowl has taken "M-A-S-H" down. More than 106 million people tuned in to watch Drew Brees and the New Orleans Saints defeat the Indianapolis Colts Sunday, making Super Bowl XLIV the most-watched program in history, according to Nielsen ratings. The 106.5 million mark beats the previous record, set by the series finale of TV hit "M-A-S-H." 105.97 million viewers watched "M-A-S-H" end its run, according to Nielsen. The Saints-Colts game, which the Saints won 31-17, also demolished last year's Super Bowl, which saw 98.7 million people tune in to see the Pittsburgh Steelers defeat the Arizona Cardinals. Ad space at this year's Bowl topped last year's pricing, too -- some spots went for as much as $3 million and sold out a week before the Bowl. 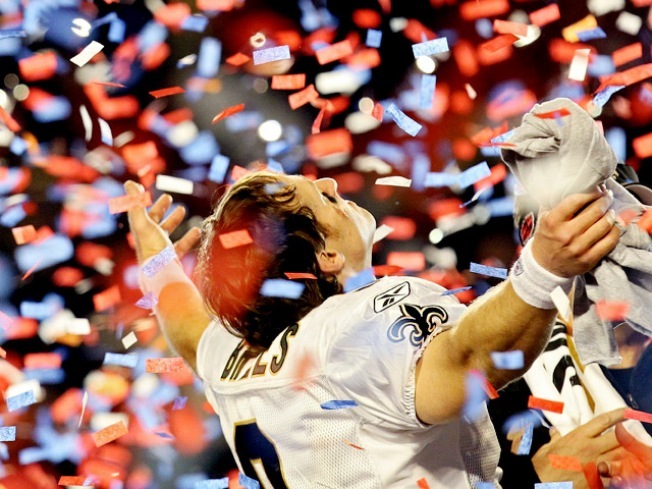 The Saints win marked the first time ever the New Orleans team had earned a trip to the big game, a Super Bowl widely viewed as a match-up between the two deepest, most talented teams in the league throughout the season. Had Peyton Manning's Colts taken home the title, it would've been the star quarterback's second Super Bowl win. 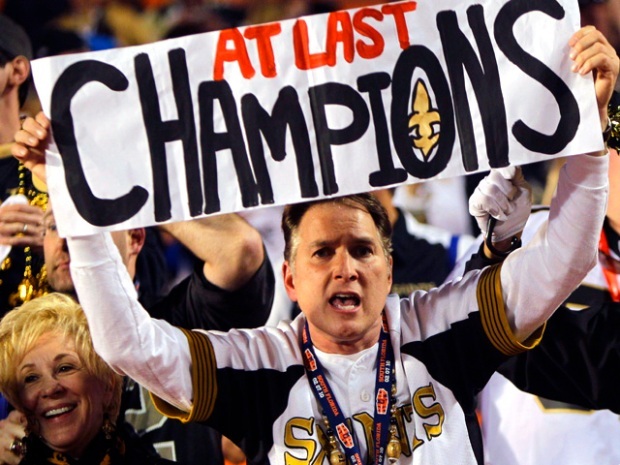 The Saints' victory was also seen as a beacon of hope for the New Orleans community, still reeling from the devastation of Hurricane Katrina.